It may not have seemed like an important time and date, but 2.45pm on January 7 marked a major milestone for energy in Northern Ireland, as power generated from wind reached its highest ever point. The massive 556MW of electricity generated was enough to power almost half the homes in Northern Ireland. According to Northern Ireland Renewables Industry Group (NIRIG), this January has seen the highest levels of wind energy ever recorded here. The record set just over three weeks ago provided 42% of electricity needs at that moment, enough to power 361,400 homes. 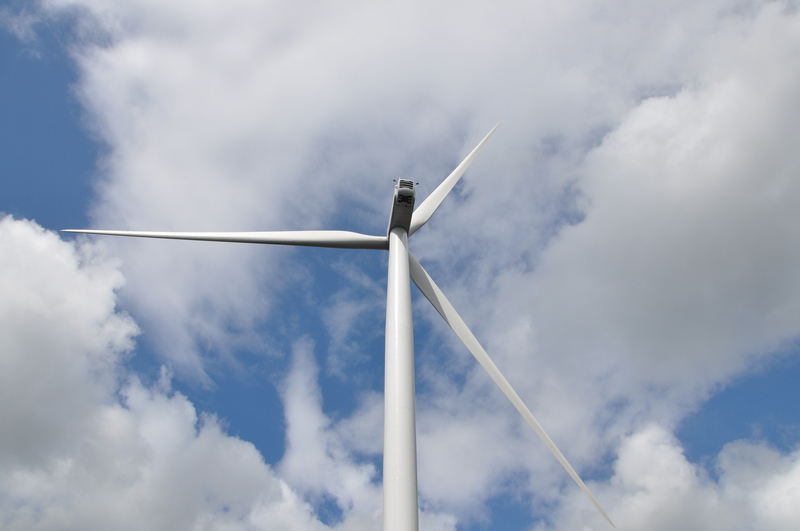 Last year almost a fifth (19.5%) of Northern Ireland’s electricity needs came from renewable sources, 18.3% of which was from wind energy, which NIRIG says represents significant progress towards the Executive’s target of 40% of electricity from renewables by 2020. Despite the blow dealt by First Flight’s withdrawal from plans to build Northern Ireland’s biggest wind farm off the Co Down coast, the wind energy industry has hailed these milestones as a huge achievement. Patrick McClughan, chair of NIRIG, said: “It is clear that significant progress is being made by the industry in delivering renewables for Northern Ireland. “2015 marks a critical tipping point, and a period of great change for our energy mix. “The fact that renewable energy now contributes almost a fifth of the entire electricity requirement for Northern Ireland is a massive achievement. “This represents a total of 1,595 GWh, most of which was generated from wind. “What this means is that 628,054 tonnes of CO2 were saved in Northern Ireland in 2013-14 by clean, renewable energy: the equivalent of taking 130,000 cars off NI roads.” Mr McClughan was speaking ahead of the fifth annual NIRIG conference today in Belfast. The conference sees the launch of the body’s report The Wind Industry in Northern Ireland, Achievements and Aspirations, the first of its kind. Mr McClughan said: “The key framework for sustainable energy in NI, the Strategic Energy Framework (SEF), will be reviewed as it reaches its mid-way point and makes plans for 2030 decarbonisation. “The SEF vision will only be achieved if there is a supporting planning framework. “New local councils will take over the responsibilities for planning on April 1, 2015 and in the same timeframe a new and streamlined Single Planning Policy Statement (SPPS) will be finalised.